Cabot is called the mother of the Winooski because that river has its source in four of the town’s ponds. From the spectacular views of Cabot Plains to the village nestled in the valley, the up-and-down geography of Cabot offers something new around every corner. The village green is surrounded by the school, a church, several stores, and homes; the Cabot Town House, like Hardwick’s Town House, has a hand-painted opera curtain on its third-floor stage. 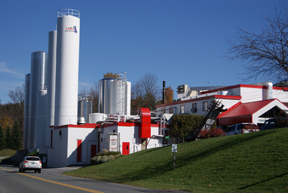 While in town, tour Cabot Creamery, where the local farmer’s got together years ago to create a creamery, now known as the birthplace of nationally recognized Cabot dairy products. After your creamery tour, you can stop in at Downstreet Eats or Harry’s Hardware Snack Bar for a relaxing meal or, if you’d prefer, The Cabot Village Store has great sandwiches and other items to go. 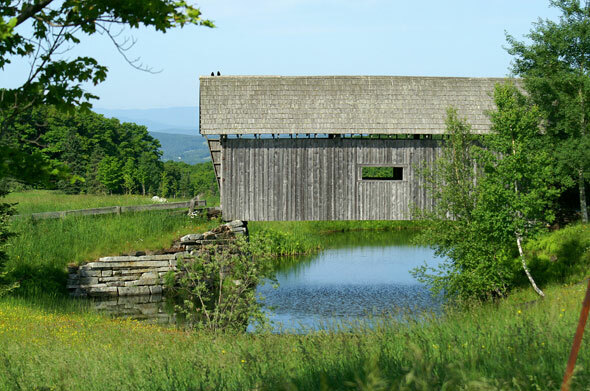 Heading south toward lower Cabot, one finds rich farmland, interesting greenhouses and market gardens offering fresh Vermont produce. Heading back toward Rt 15 you can tour the high roads from Cabot for incredible views, then continue to explore our own local scenic by-way corridor (see Things to Do) as you continue on to Hardwick, Greensboro, and Craftsbury. 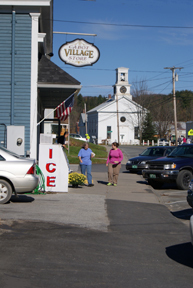 For more information about Cabot Vermont visit the Town of Cabot website and Cabot Historical Society’s website.